From the airport we got the RER and the Metro to Saint-Michel metro. The hotel is just a few minutes’ walk. We ate in a beautiful Italian restaurant with friends and toasted to a great weekend. The next day we visited nearby Notre Dame Cathedral. This famous Gothic cathedral attracts millions of tourists every year, and it took nearly 200 years to finish. 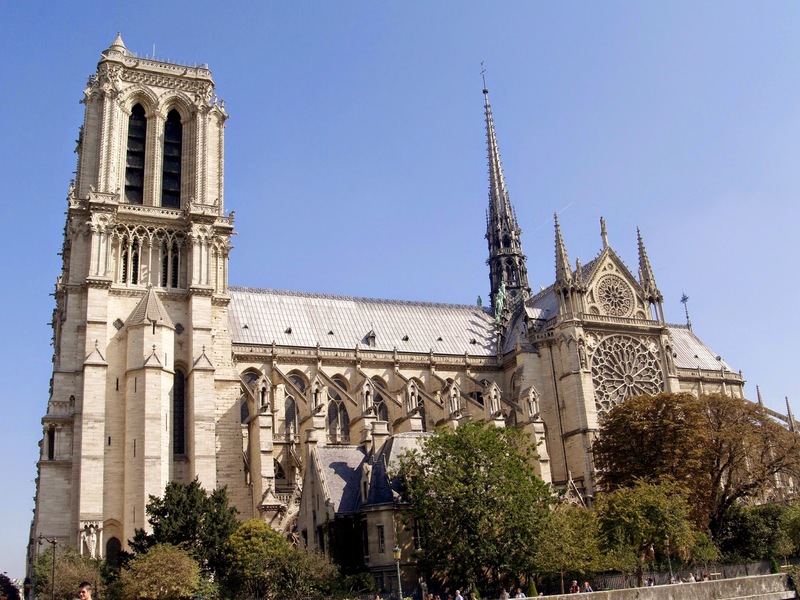 It started in 1163 by an architect named Maurice de Scully and during the French revolution statues were destroyed due to the fact they were, mistakenly believed to be French kings instead of biblical kings. In the 19th Century a famous architect Viollet-le-Duc decided to once again restore this Cathedral. I managed to view the Cathedral treasury which holds the Holy Crown and a piece of the holy cross. 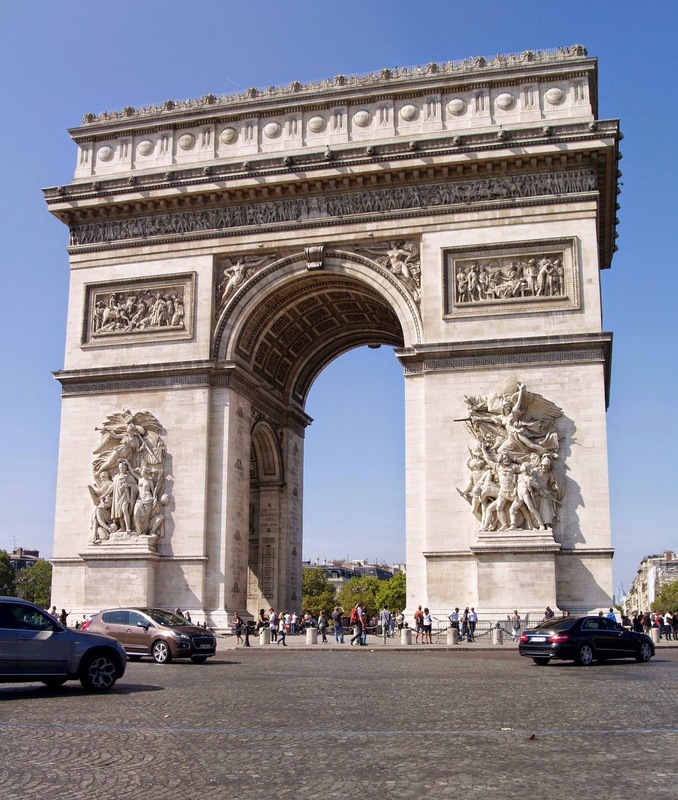 Just off the Champs Elysee lies the Arch de Triomphe, this monument honours those who fought and died in the French revolution and the Napoleonic Wars. After several failed attempts to cross the busy road leading to the arc, we discovered an underpass. A massive queue had formed to climb the grueling steps to the very top. However I had viewed the city from this beautiful monument on a previous occasion and decided to stroll down the Champs Elysee instead. This stylish avenue is bursting with elegant shopping boutiques, exquisite cafes and restaurants. Recently it has become a venue for celebrations such as the arrival of the Tour de France and for the military parade each year on the 14 July, celebrating Bastille Day. In the L’Atelier Renault showrooms (www.atelier.renault.com/en/),I purchased a miniature car for my son. On our walk to Hotel Les Invalides we passed by Le Grand and Petite Palace and stood in awe at the magnificent and exquisite buildings. Under Louis XIV command Hotel Les Invalides (www.musee-armee.fr/en/english-version.html) was once a home for wounded soldiers. L’Hôtel des Invalides, contains museums and monuments, all connected with the military history of France, and still contains a hospital and a retirement home for war veterans, original purpose for the building, One of the internal museums is totally devoted to the Second World War. A full day is needed to see all the museums and especially don’t miss the crypt which holds Napoleon’s red porphyry tomb. With a huge population and a very fast pace of life, there are plenty of parks and recreation areas where you can take a break from it all. Just a short stroll from our hotel is the very attractive Jardin du Luxembourg. Romance was in the air as couples strolled through the park holding hands. 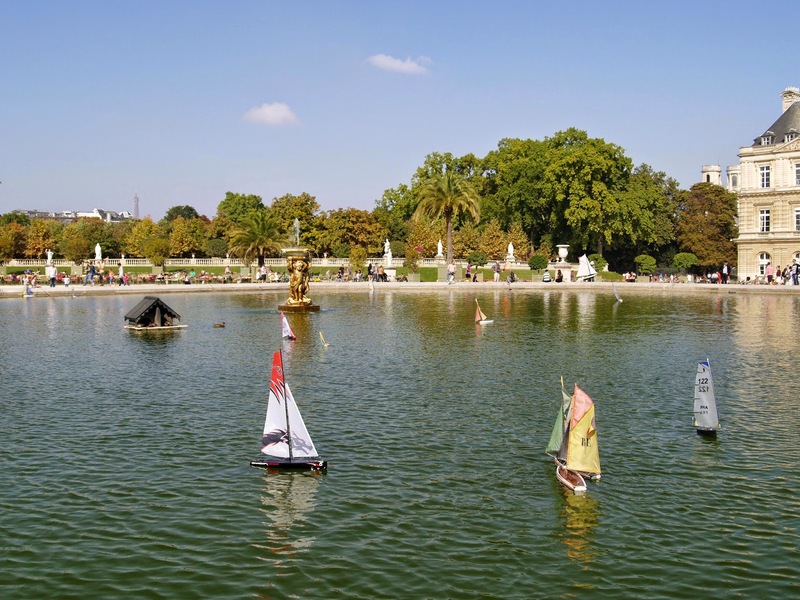 Families hired miniature sailboats and try to maneuver them across the the octagonal pond, also called the Grand Basin. Many activities were ongoing during the day such as pony rides, tennis, tai chi, bowling as well as some very energetic jogging. With so much to see and do in Paris I will be back soon – à bientôt.